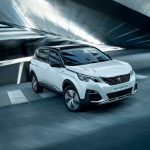 The Peugeot 5008 price may seem prohibitive, but the value proposition is actually far more favourable than you might think. For starters, this is a true seven seater SUV, unlike the competition that have five seats and a folding arrangement for the third row. Then there is the European flair that gives you a practical design that is practical and beautiful. 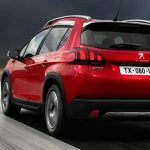 A little time has passed since the Australian release so let’s take a closer look at the 5008 Allure in this brief catch up review. The Peugeot 5008 Allure is the entry level petrol powered model in the range. It’s classed as a medium SUV, and yet it is a genuine seven seater with bags of space. From the outside, it looks like an interesting mix of a wagon and an SUV. 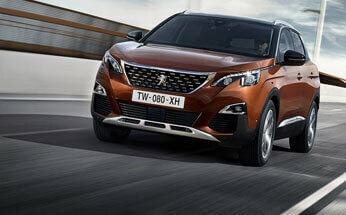 Despite its size, the 5008 Allure feels quite nimble and agile making getting around a breeze. 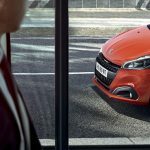 The entry level Allure has all of the equipment fitted as standard across the entire range, such as automatic headlights, automatic windscreen wipers, driver attention alert, lane departure warning, adaptive cruise control (includes stop and go), front and rear parking sensors, a 360 degree camera. There is also a 12.3” infotainment screen, an 8” touchscreen, DAB+ digital radio, Apple CarPlay and Android Auto support, vocal recognition, dual zone climate control (with rear vents), wireless phone mirroring, wireless smartphone induction charging, alloy roof rails, six airbags, and seven full seats. Many vehicles in this segment are let down by a lack of boot space when the third row of seats is in place. Although it’s fair to say that the third row seats on the Allure are fairly tight (for an adult), the boot space is still cavernous. This car is easily one of the biggest in the medium SUV class, and it has a squat yet elongated profile. Of course, if you need more cargo space, you can always fold down the third row and use the Allure as a five seater SUV. However, this will rarely be necessary unless you’re on an extended trip and need to take a lot of luggage. 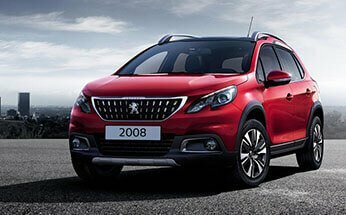 The 5008 Allure is a wonderfully smooth drive and ideal for cruising along the highway. 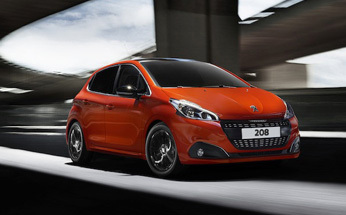 The power plant is a 1.6L turbocharged petrol engine that is smaller than the competition. However, the turbo unit gives plenty of extra power when you need to climb a hill or overtake. The steering wheel has a hexagon shape; it’s smaller than a traditional model, and it takes a little time to get used to. The Allure has a very small turning circle for its size, it’s actually a very agile car, and the steering wheel is very responsive. Parking is simple thanks to the 360 degree camera and parking sensors. Sadly, this is not an AWD SUV so extreme off roading is not on the cards. If you’re in the market for a new Peugeot 5008, get in contact with Perth City Peugeot. Book a test drive with us today, and you can try out the new Peugeot 5008 Allure for yourself. 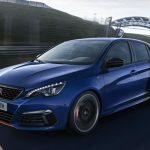 Is it Illegal to Drive and Smoke in Your Peugeot 308 GTi?